Create an order is simple and that easy. 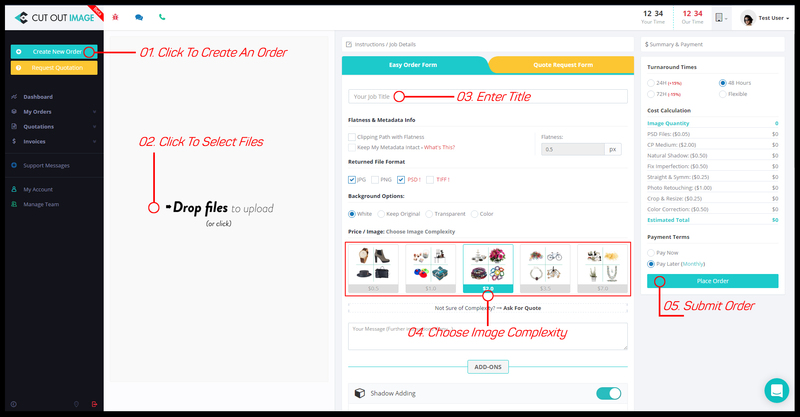 Below is the screenshot how you could submit an order in details. You can checkout One Minute YouTube Video which demonstrate the whole process in just 1 minute.